Andrew and I have decided that we want to try more intersting and exciting resturants togeher. 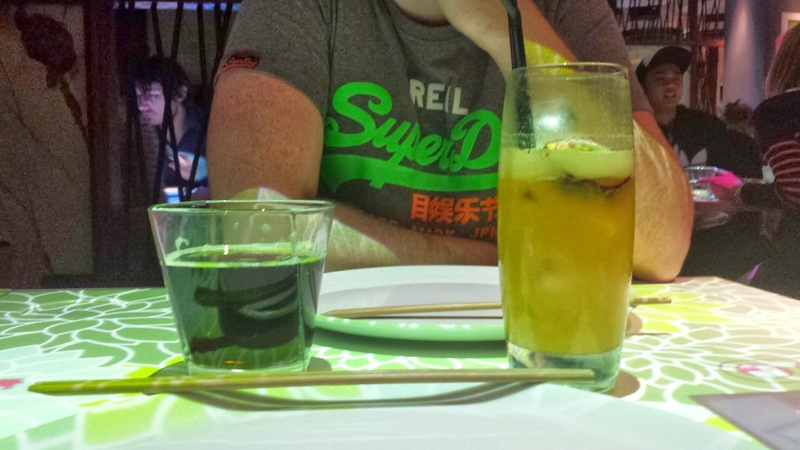 as much as we both love Nandos and Wagamamas, and we really do, going there once a week kinda gets a bit repetative! 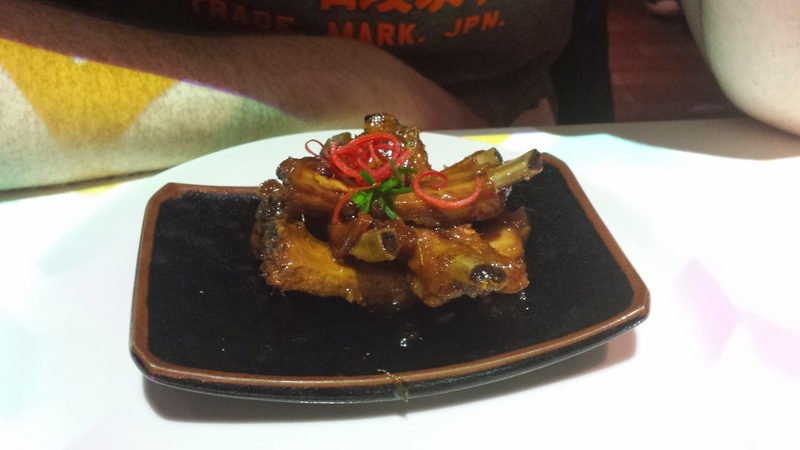 we recently tried out a super fun Japanese in Regent Street called Inamo. 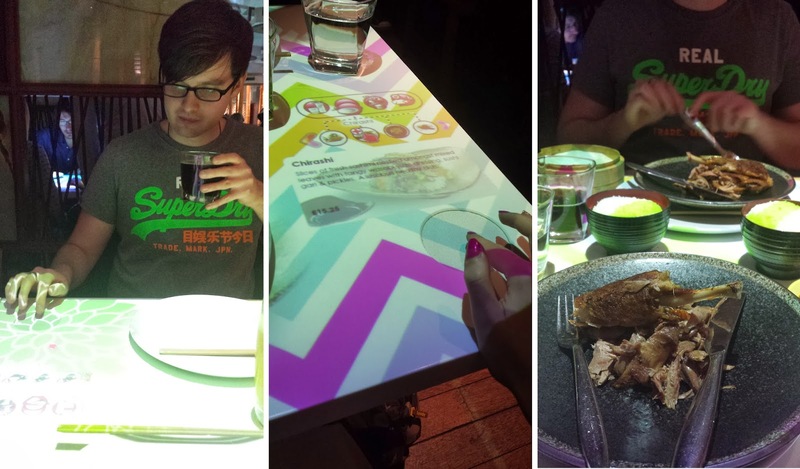 It's an interactive restaurant so use order your food and drinks using the interactive table that your eating at, lots of fun! 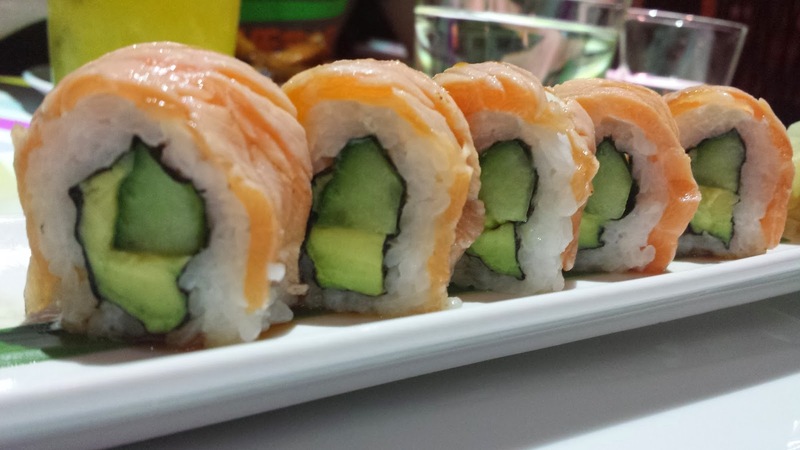 I started with some salmon and avocado sushi rolls - such a good food combination! Andrew started with pork ribs which was an obvious choice for him, hes a crazy meat lover haha they were quite nice to be fair, sticky and sweet. I always have a taste of what he's eating, he hates it! For mains, we both ordered crispy duck pancakes, lucky Andrew - I didn't need to taste a bite of his! Food was good and we were both surprisingly full up afterwards! Not sure I'd go again but definitely glad we did this time, it was a great experience. Have You Been To Inamo?